Religious liberty is America’s most distinctive contribution to humankind. The genius of American religious liberty is that we protect every American’s religious beliefs and practices, no matter how unpopular or unfashionable they may be. By protecting all religious beliefs and practices regardless of their popularity or political power, religious liberty makes it possible for citizens who hold very different worldviews to live peaceably together. Robust religious liberty avoids a political community riven along religious lines. Congress’s passage of the Religious Freedom Restoration Act of 1993 (RFRA) was a singular achievement. For two decades, RFRA has stood as the preeminent federal protection of all Americans’ religious liberty. RFRA ensures a level playing field for Americans of all faiths. It puts “minority” faiths on an equal footing with any “majority” faith. Yet RFRA has recently become a prime target for those who would deny robust protection to religious liberty. Congress may soon come under pressure to amend RFRA and diminish its protection, if the Supreme Court upholds RFRA’s protection of Americans whose religious consciences will not allow them to comply with the HHS mandate. Congress must withstand such pressure in order to protect religious liberty in America. RFRA was an urgent response to the Supreme Court’s 1990 decision in Employment Division v. Smith, which dealt a serious setback to religious liberty. 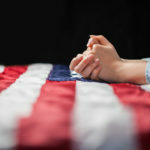 Before the Smith decision, the Supreme Court’s free exercise test had prohibited the government from burdening a citizen’s religious exercise unless the government demonstrated that it had a compelling interest that justified overriding the individual’s religious practice. The Smith decision reversed this presumption. The government no longer had to show an important reason for overriding a person’s religious convictions, but instead could simply require a citizen to violate her religious convictions no matter how easy it would be for the government to accommodate her religious conscience. In response to the Smith decision, a coalition of sixty-eight diverse religious and civil rights organizations, including such groups as the Christian Legal Society, Baptist Joint Committee for Religious Liberty, Americans United for Separation of Church and State, National Association of Evangelicals, American Jewish Congress, and American Civil Liberties Union, joined together to encourage Congress to restore substantive protection for religious liberty. RFRA restored the “compelling interest” test by once again placing the burden on the government to demonstrate that a law is sufficiently compelling to justify denial of citizens’ religious freedom. Although it has excluded state and local laws from RFRA’s scope, the Supreme Court has interpreted RFRA to provide potent protection for religious liberty at the federal level. In Gonzales v. O Centro Espirita Beneficente Uniao do Vegetal, the Court unanimously held that RFRA requires the federal government to demonstrate an actual compelling interest, unachievable by less restrictive means, before it may restrict a citizen’s religious practice. The Court required the government to show that granting an exemption to the specific individual citizen would actually undermine the government’s ability to achieve its compelling interest. Rather than giving religious citizens a free pass, RFRA gives citizens much needed leverage in their dealings with government officials. By requiring government officials to explain their unwillingness to accommodate citizens’ religious exercise, RFRA enhances governmental transparency and accountability. As Chief Justice Roberts wrote in the O Centro decision, RFRA rebuffs the “classic rejoinder of bureaucrats throughout history: If I make an exception for you, I’ll have to make one for everybody, so no exceptions.” RFRA incentivizes government officials to find mutually beneficial ways to accomplish a governmental interest while respecting citizens’ religious exercise—a win-win solution for all. In the final analysis, after hearing both sides, a court determines whether the government interest is strong enough to override the religious exercise in question. In the twenty years that RFRA has been in place, judges frequently have ruled in favor of the government, finding either that the government had not substantially burdened the religious exercise at issue or that the government had a compelling interest. RFRA creates a level playing field for Americans of all faiths, putting “minority” faiths on an equal footing with “majority” faiths. Essentially, RFRA makes religious liberty the default position in any conflict between religious conscience and federal regulation. Without RFRA, a “minority” faith would need to seek individual exemptions every time Congress considered a law that might unintentionally infringe on its religious practices. With RFRA, a “minority” faith is automatically presumed to be entitled to an exemption from a law that infringes its religious practices, unless the government demonstrates that such an exemption would violate a compelling governmental interest. The default posture can be overridden if Congress chooses to do so, or if a court determines the government’s interest is compelling and unachievable by a less restrictive means. RFRA simply makes religious liberty the default position. This is as it should be for a country that values religious liberty. RFRA is a commonsense approach that allows Congress to legislate without holding extensive hearings on every potential effect that a bill might have on Americans’ religious liberty. This is particularly comforting given that much legislation is significantly changed as it wends its way through the legislative process, often after hearings have been held. RFRA also helps to protect against administrative abuses of delegated rulemaking authority, as seen over the past two years in the numerous challenges to the HHS Mandate, including challenges by for-profit corporations and their owners. As Professor Laycock has shown in his amicus brief on behalf of the Christian Legal Society, RFRA’s protections encompass a for-profit corporation if it can show that the government has placed a substantial burden on its religious exercise, and if the government cannot demonstrate a compelling interest unachievable by a less restrictive alternative. Once again, RFRA’s broad scope protects “minority” faiths: excluding religious minorities from businesses and professions has been an historic means of religious persecution. In the long term, RFRA maximizes social stability in a religiously diverse society and minimizes the likelihood of political divisions along religious lines. The reason is simple. As Laycock puts it, “religious liberty reduces social conflict; there is much less reason to fight about religion if everyone is guaranteed the right to practice his religion.” In other words, RFRA implements the Golden Rule in the context of religious liberty: in protecting others’ religious liberty, we protect our own religious liberty. Just as controversy frequently flares when free speech protections are triggered for an unpopular speaker, so controversy will sometimes accompany a particular application of RFRA. But our society has prospered by protecting all Americans’ free speech, and it will prosper only if all Americans’ free exercise of religion is protected. Religious liberty is embedded in our nation’s DNA. Respect for religious conscience is not an afterthought or luxury, but the very essence of our political and social compact. RFRA embodies America’s tradition of protecting religious conscience that predates the United States itself. In seventeenth-century colonial America, Quakers were exempted in some colonies from oath-taking and removing their hats in court. Jews were sometimes granted exemptions from marriage laws inconsistent with Jewish law. Exemptions from paying taxes to maintain established churches spread in the eighteenth century. RFRA reinforces America’s foundational commitments to religious liberty as an inalienable right, to a government that recognizes limits on its power, and to a healthy pluralism essential to a free society. RFRA is remarkable for Congress’s renewal of its pledge not only to respect and protect religious liberty but to limit the power of our government. Rarely does any government voluntarily curtail its own power, but RFRA stands as a reminder that America’s government is designed to be limited. By evenhandedly protecting religious freedom for all citizens, RFRA embodies American pluralism. In RFRA, Congress re-committed the nation to the foundational principle that American citizens have the God-given right to live peaceably and undisturbed according to their religious beliefs. In RFRA, a nation begun by immigrants seeking religious liberty renewed its pledge to be a perpetual haven for persons of all faiths. Kim Colby is Director of the Center for Law and Religious Freedom at the Christian Legal Society. Pingback: Religious Freedom & Hobby Lobby: Who Is Imposing What on Whom?